The number one reason why people move, as statistics say, is for a better job or starting a whole new career and often this decision does not feel like a choice as companies order the transfer or conditions are better in another state or city. The relocation maybe is the best option for you, but you should also consider your family and their needs. Telling family members, especially kids, that it is time to move to Miami, can be delicate conversation to have, so the best you can do is to include them early on. When you are moving with children your responsibility is much bigger and you need to be prepared for many things. After you move to Miami, a tremendous dilemma will eventually come up regarding your children’s future: which school should you choose for them? We are here to help you make a decision, because we are aware that you are probably stressed out with your packing and planning every single detail, and that you most likely do not have enough time and energy for all the issues that might come up during your moving process. That is why we will help you shorten the time of your researching public and private schools of Miami and bring the best possible decision for your children’s future in your new city. Miami is excellent opportunity to provide your children with good education and life. Metropolitan International Academy- The Metropolitan International School was establishes in 2013 and is founded by Maria Padovan Kindell, who has had an extensive career in education. She was the acting executive director for 15 years and founder of three internationally accredited schools in Miami, Florida. She wanted this school to allow its students to grow with their changing needs and progression in technology. The Metropolitan International School of Miami provides globally-focused education for your kids, from prekindergarten to grade 8. This school offers a strong language program, and your kid can choose between Spanish and Italian, as well as fine arts and physical education. This school will be a nurturing and exciting place for your children, full of available challenges designed to help them mature and grow. Children will be inspired to accept and understand the individual characteristics of their classmates, but also the beauty of language and art in one stimulating and pleasant learning environment. The parents are more than satisfied, saying that the teachers are highly educated and love the kids, that the education is very good and that the school offers the best sports, music and art program. 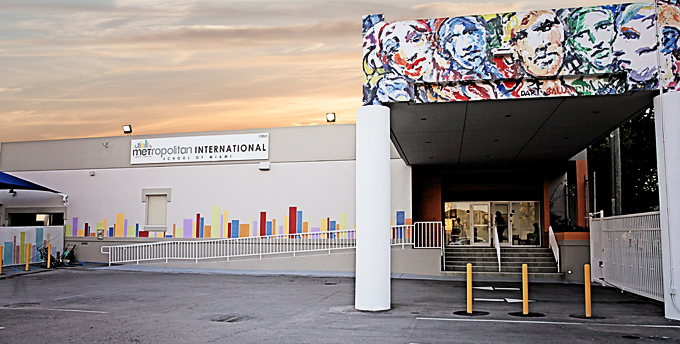 Brickell International Academy- This elementary Miami school is part of a larger community, Education First Inc. These schools have gained internationally recognized success in “21st century learning”, and into the everyday culture of these schools are put into practice themes such as devotion, passion and autonomy. Brickell International Academy offers a dynamic staff that is devoted to educating children in a nurturing and worm environment. They are highly aware that each child is different and capable of reaching their fullest potential during early years, so the teachers main goal is to fully use that potential and make of your children good and intelligent people. BIA has established a team of professionals to help educate and nurture your child’s development in a fun and loving way. The parents say that the school is very welcoming, with amazing professionals, plenty of activities, strong curriculum, accredited and experienced. If you are moving to Miami with children, maybe Brickell International Academy is just the right choice for them! Palmetto Elementary School- Palmetto Elementary School will provide for your children an outstanding education within an effective learning environment that addresses the individual needs of all students, thereby developing permanent learners who demonstrate respect, pride and excellence in all endeavors. This school is a mandatory uniform school and all students are required to wear the school uniform. It offers an exceptional education and it is located in a great neighborhood of Miami. MCA Academy- At this school the staff provides students with challenging but meaningful learning experiences in a safe, supportive and inviting environment. They are setting the students on a strong academic path, valuing excellence and fostering high expectations, but also supporting each student’s unique educational tracks. The top priority of this Miami elementary school is nurturing each child’s self esteem, as that ensures maximum student growth and leads them to succeed with their educational and social lives. It also offers them an opportunity to build leadership skills and become productive inhabitants of Miami. The parents say that they really appreciate about the MCA Academy the fact that all the kids hang out together. The school is small and that is why no one is left out. Also, they say that their kids actually want to go to school every day and that they come home with plenty of stories about their school day. It is really nice feeling to know that your children are excited about school and about learning. We hope that this article has helped you decide on which elementary school to choose for your children! We gave you the list of some excellent elementary schools you should consider if you are moving to Miami with children.